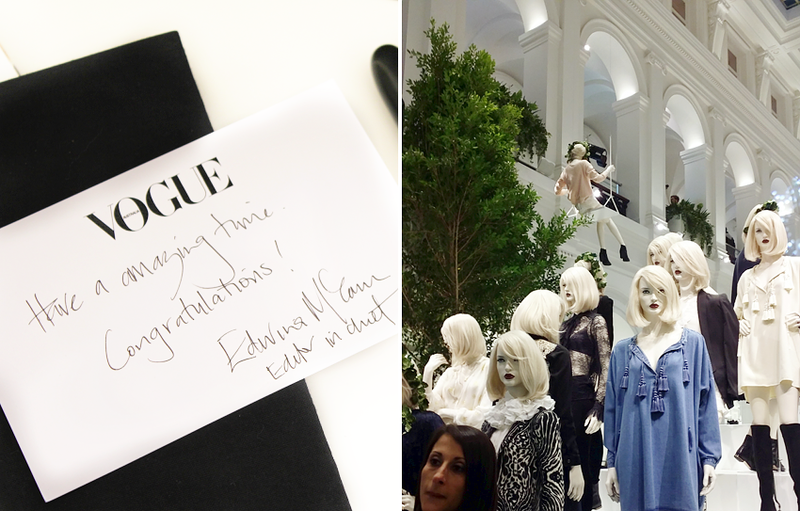 About a week ago I won the Best Australian Style competition held by H&M and Vogue Australia... the prize? 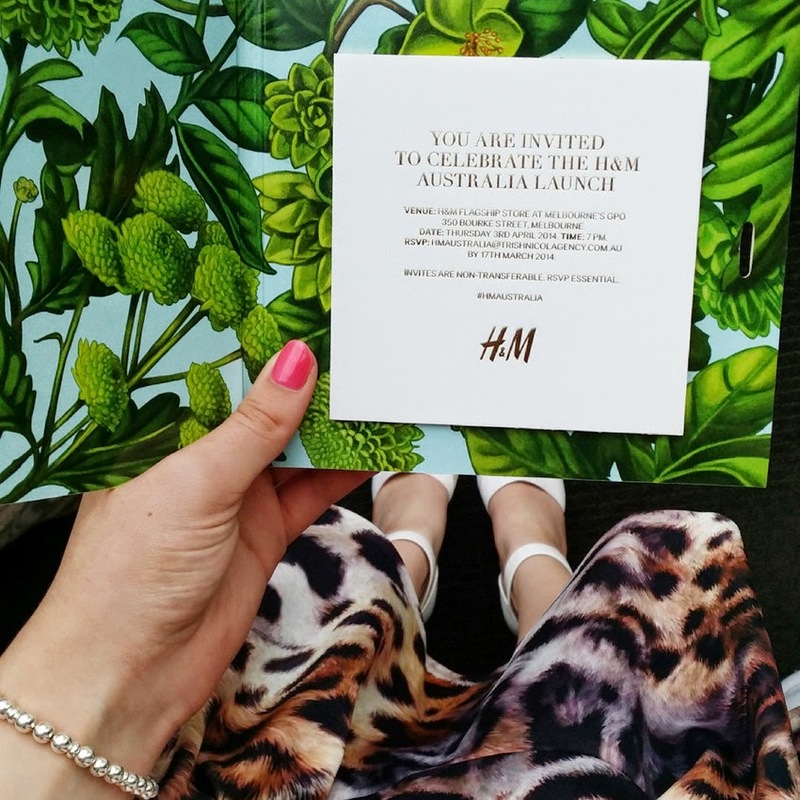 H&M VIP Launch Party invites for their first store in Melbourne, a luxurious stay at The Olsen Hotel, goodies from Vogue, and a fancy schmancy car on a red carpet to take us to the event... Yes, this actually happened. Sporting Zara's neoprene leopard print dress and my favourite ASOS heels, my expectations were already sky high... but the Swedish still managed to exceed them. 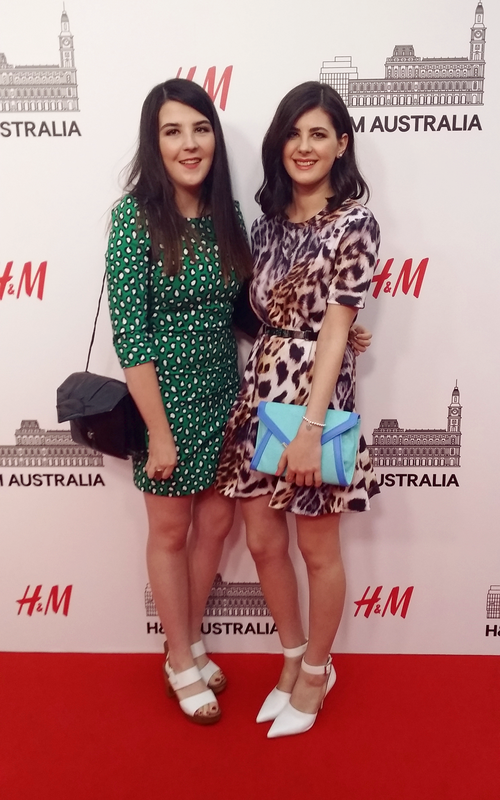 After walking the mini red carpet with my cousin, Dragana, we spent the next few hours mingling and shopping - even scoring an extra 20% off for the 1000 odd guests that were there for having the first exclusive sneak peek at H&M Australia. Other than making about a hundred laps (and getting lost) around the three-storey store, stalking the staff carrying mini chocolate tarts, fangirling over fellow bloggers and how CHEAP everything is, we also found ourselves partying alongside Haim (!!!!!!!) (no biggie) who were playing a DJ set as a surprise! Wow, what an amazing prize! I saw so many photos from bloggers at the event on Instagram, it looked like such a great night. That dress looks so fab on you as well :) Now if only H&M would hope across to NZ as well.. (A girl can dream, haha). Love your beautifully elegant dress, looks stunning! Thanks for your visit, hope your week is going well. Love love love the dress! I can't believe this is H&M's first store in Melbourne. Anyway looks like a great launch event. 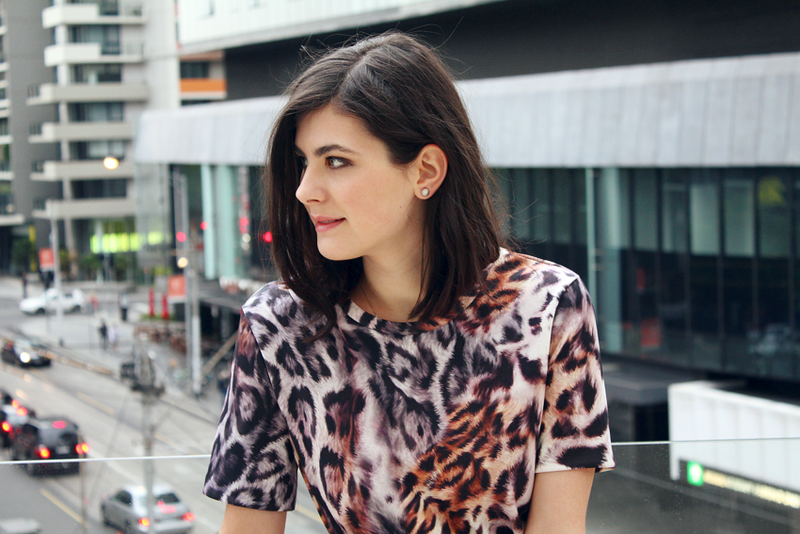 I have nominated you for the Very Inspiring Blog Award! I hope you accept. Here is my link: http://www.lornamai.co.uk/blog/inspiring-blog-award/ I have put your link on my page. Many thanks for your inspiration! Prelijepa si! Ova leopard haljina je stvarno divna, a što je najvažnije savršeno ti stoji! sigurna sam da je bilo lijepo događanje:) čestitam na sudjelovanju! In love with this dress! Also gorgeous clutch and heels! Can I have your closet? Or your sense of fashion? :) You always look great, and this dress is no exception. Congratulations! Sounds like a great event. You both look gorgeous! I didn't realise until we got to the sun terrace that I matched but how cool haha! Ooh, she's my cousin, but she does a bit doesn't she?! Thank you! I'm in love with the neoprene fabric it's made from! !